I decided to take a break from MTG Metagame Finance this week. We had our first week of the new Standard at SCG Indianapolis, so instead I’ll be diving into that tournament and the SCG Classics that ran alongside it. Magic Fest New Jersey was Ravnica Allegiance Limited, so not too much Constructed info coming out of there. But there was still a major takeaway—the fact that there wasn’t any coverage. I think this was a pretty large mistake on Wizards’s and Channel Fireball’s part. I can understand that paper Magic might not be very intuitive or fun to watch if you don’t know much about the game. But if part of Wizards’s goal is to eventually transition some people from MTG Arena to paper Magic, coverage of Magic Fests is probably a decent way to get people interested. I also think a good amount of people watch coverage to get a heads-up on what cards to pick up or get rid of. But more than just being a tool to help finance-minded people, it’s really about providing more visibility to the game we all love. Anyways, this week I’m revisiting the What’s Next idea I mentioned in article #23. If you didn’t read it or don’t recall the section, I talked about the decline of Humans in Modern, and how you could port over to Spirits as a way to maintain the value of your cards and stay up to speed with the metagame. That article came out almost two months ago. And if you take a look at the latest trends in Modern from MTG Top 8, you’ll see some correlation to what I wrote. Originally, I was going to start this series off with KCI/Ironworks Combo. That got thrown out the window with the latest banned and restricted announcement. My initial thought was that KCI could port over pretty easily to something like Hardened Scales Affinity. Since Krark-Clan Ironworks is banned now, I think it’s a good exercise to think about how the format could potentially change. A couple of questions come to mind when I think about this. 1. Which decks had a bad KCI matchup? 2. Which decks have a good Arclight Phoenix deck matchup? Of course, this is not totally comprehensive. But it gets the wheels spinning. A couple of decks that see overlap are Dredge and Jund. With that said, it seems like a good number of people are pretty hyped about Light Up the Stage and Skewer the Critics for Burn in Modern. If that hype turns out in fact to be valid, Jund might be a better choice over Dredge, since it generally has a better matchup against Burn. 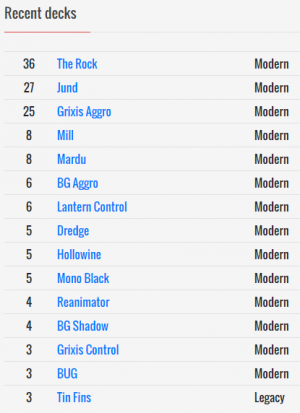 One could argue that Dredge is the better choice since it just won the SCG Modern Classic in Indy. But I wouldn’t be so quick to rule out Jund as an option right now—the format is just starting to adjust to the banning. If you take a look at the Top 16 decks, you’ll see that there are quite a few Burn and Phoenix decks. 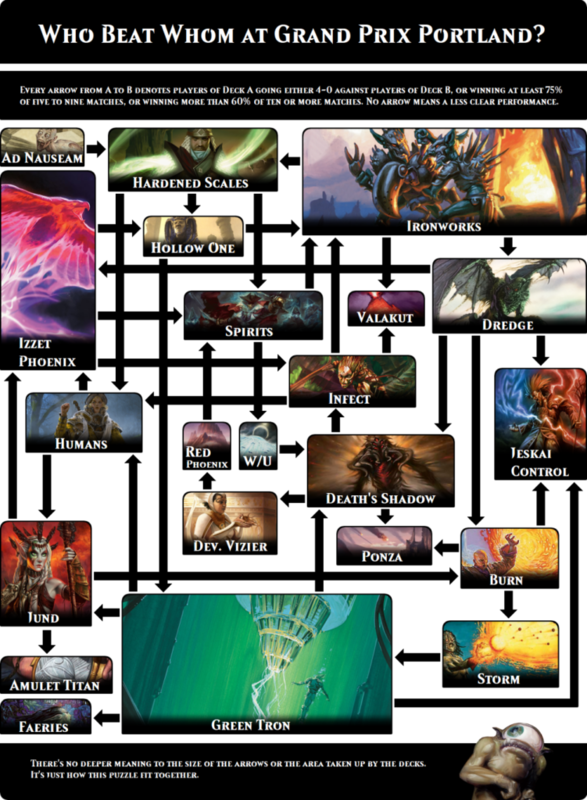 Now, although slightly outdated, take a look at this breakdown of Grand Prix Portland from Tobi Henke at Channel Fireball. Thus, I think it’s worth a shot looking further into Jund as an option going forward. For starters, let’s take a look at a couple of Jund decks from the Modern Magic Online Championship Series on January 21. One card I like here is Tarmogoyf. It’s been reprinted many times now. But there aren’t any new Masters sets coming out in the foreseeable future. So if you don’t have these and need or want them, now is probably a good time to start picking them up. It was also recently featured in the cheap pickups section on MTG Stocks. Another card to watch out for is Dark Confidant. This has been holding steady at about $50 for the past few months. But it could start to see a small uptick since it dodged an Ultimate Masters reprint. This is another card that sticks out to me, especially with all the Burn decks floating around. I’d be a little more cautious with this one since it only has one printing. We’ve see this card hit $20 before and it could do it again without a reprint in the near future. It’s played in a lot of Modern decks. There are a few other cards in the sideboards of these two lists that I’d also like to point out, since I highlighted them in recent articles. I mentioned this in article #25. I mentioned this in article #24. I mentioned this in article #23. It’ll only be a matter of time before we see what happens. But if you want to stay ahead of the curve, I would at least start testing Jund in Modern again. One tournament to keep an eye on would be Magic Fest Toronto from February 8-10. Let’s hope there will be coverage. 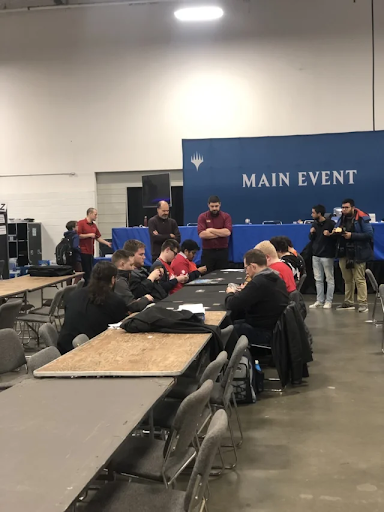 I was part of the Judge Staff for MF NJ, the turnout for the event and all the side events was so overwhelming they had to take the tables from the feature match area to be used so others could play magic. This would have been a reasonable reason to be upset however it was limited format, which is the least viewed coverage out of the GP/MF formats. I think the comment about viewers watching to see what cards to pick up and get rid of is irrelevant because of the format. Last note: If this was a constructed format, especially Standard, the head judge (CJ Crooks) would have kept the feature match area intact. It would have been a mistake to do otherwise since it was release weekend for RNA. The biggest lesson learned that CFBE should takeaway from this event is that Meadowlands Exposition Center is too small to meet the needs of the New Jersey area Magic Fest community. I agree that Limited doesnt provide much in terms of card/market movement. But i was referring to gp/mf as a whole. However, i understand coverage might still be different for constructed. Overall tho, coverage is valuable because it’s a powerful/effective marketing/advertising tool. Applicable for all formats. Even moreso for a release weekend.